Tom could recently be seen in the West End revival of EUGENIUS! as Stock Jock/Flock of Eagles Singer. 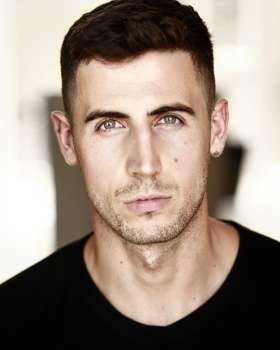 Prior to this he played Kenickie in the National Tour of GREASE, completed a successful run starring as Ralph Rackstraw in the National Tour of Sasha Regan's ALL MALE H.M.S PINAFORE and guest starred in EMMERDALE on ITV. Tom can currently be seen as Frederic in THE PIRATES OF PENZANCE at Wilton's Music Hall.